More women who were great spies! My first exposure to the spy world came in the form of Ian Fleming and Helen MacInnes novels, the Bond and Flint movies, and Get Smart, I Spy and Man From U.N.C.L.E. My best friend Cynthia and I were so enamored with the spy world that we created our own spy organization. We called it XCPLE (pronounced X-C-piddle-E), and don't ask me what it stood for. I'm not sure I knew even back then. We built our spy headquarters in the woods behind the house where I grew up, dragging a hooked rug (I'm sure my mother cherished) out into the forest and secreting it in a copse of pine trees, where scraps of the rug still remain. We built a communications system, developed a secret code and begged our mothers to buy us spy gadgets—disappearing ink pens, tiny cameras, decoder rings, toy guns. The year I turned ten, for Christmas, I asked for a pair of shoes with a hiding place built into the heel. Four years later, came the Beatle invasion. Cynthia and I abandoned XCPLE to form a girl band using my mother's wicker laundry basket fitted with pot lids as the drum, my father's Martin guitar and broomsticks tied to music stands as microphones. Still, I never swayed from devouring spy fiction and I admit to having an unhealthy obsession with the Cold War era. How much do you know about spies? Fellow Rogue Woman, Gayle Lynds, has a great Spy IQ test on her website you can take to find out how much you know. I did fairly well. But that said, when I was a full-fledged member of XCPLE, there was a history of spying I knew nothing about. Clearly I wasn't getting all the facts from Get Smart. For those who need or want a Spy 101, or those who need a refresher, here's a quick recap. Since the beginning of time, leaders have had spies. As Chinese general Sun Tzu wrote in his famous treatise The Art of War: "Enlightened rulers and good generals who are able to obtain intelligent agents as spies are certain for great achievements." The earliest recorded spy activity goes back to the times of the Pharaoh Rameses. The Bible references surveillance for the purpose of gathering information. The Royals used spies and spy craft, developing codes for passing information. During the American Revolution, secrecy and subterfuge were keystones of both the British and the Revolutionaries (think Benedict Arnold and Ann Bates), and, during the Civil War, spies took photographs of enemy batteries. In 1907, a German inventor named Julius Neubronner invented the "pigeon camera"--the precursor to today's drone. He produced a small, automatic camera that could be strapped to a homing pigeon and set to take pictures at specific times. With the onset of the Cold War, President Franklin D. Roosevelt appointed William J. Donovan, the first "Coordinator of Information." Then, in 1942, Roosevelt made him head of the Office of Strategic Services (OSS)—the forerunner to the CIA. Now, with a restructured intelligence community, there are currently 17 distinct U.S. intelligence agencies, each operating under a shroud of secrecy and funded by classified budgets reported by Business Insider Magazine to be somewhere around $75 billion. We have a Director and Deputy Director of Central Intelligence, a Director of the Central Intelligence Agency, and a Director of National Intelligence. We still have the CIA, FBI, NSA, INR, Air Force ISR, NSB, INSCOM, and more, on a list of acronyms I'll never remember. Classified information about spies and spy gadgets is hard to come by. No doubt the world has grown more complicated, and technology has allowed for advancements in espionage capabilities. We see glimpses of real gadgets in today's movies—the spy cams, cell jammers, encryption devices, night vision, aerial snooping, anti-bugging, spy coins (during the Cold War, these were used to carry a spy's cyanide pill). And then there's the "Switchblade" technology—remember the plane with the invisibility cloak technology that was described in the movie I Spy (2002)? Not real! There are the contact lenses that have cameras in them, allowing spies to each see what the other sees. Not...actually, this one I'm not sure about. When it comes to writing spy fiction, I think Lee Child had it right when he said in an interview posted on Tangled Web UK: "It can drive you nuts. You've done the work, you've done the research and you know you are right. But in a sense it's not about being right, it's about being convincing." If, like me, you ever wanted to be a spy, pretended to be a spy, or just love espionage and spy gadgets, I recommend you pay a visit to the International Spy Museum. Then come back and tell me your favorite spy gadget and I'll tell you mine. This is a terrific journey, Chris. I went through much the same experiences, except I missed the creation of one's own spy org. 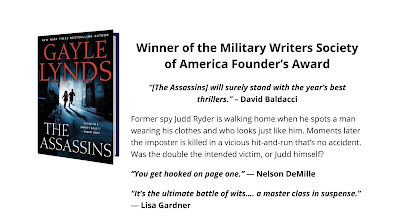 Doggone clever of you, and now you write great espionage thrillers. It all traces back ... there's a pattern! And thanks for letting folks know about my Spy-Q Test! What a great post, Chris. You told us so much about the history of spying. Love how you got started at such an early age. Your discussion about gadgets reminded me about a visit I was able to make to the CIA in Langley, VA, as a "guest" of an agent. He showed me their "private museum." It has examples of spy craft that the Soviets used for decades including tiny cameras embedded in various items, microphones inside pen sets (which were presented to diplomats as "Welcome to Moscow" gifts)and "insects" that flew inside a room - listening and recording- which seem like the precursor of little drones carrying weapons in fellow Rogue writer, Jamie Freveletti's terrific thriller, THE GENEVA STRATEGY. Thanks for posting! All the acronyms! Sure looks like intelligence gathering is big business.Thanks for the history! Norm, thank you for your kind words and for keeping me honest. Christine, what a fun post! 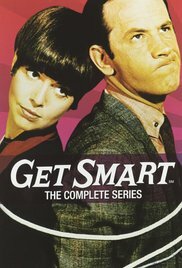 I loved Get Smart ! My sister and I used to watch every week. My favorite gadget is spy dust--miniscule particles of "dust" that, when sprinkled on an enemy's coat, provide their GPS location.